BookMyShow, a Big Tree Entertainment, company is acquiring a majority stake in event Social Media aggregator company Eventifier for over $2 million or roughly Rs. 12 crore in all cash deal according to ET report. This is a strategic investment for BookMyShow because bringing Eventifier into it’s fold will let them go beyond just event ticket bookings and actually derive social media intelligence about the events and shows for which they allow users to book tickets. Eventifier, a social media chatter aggregation tool was conceptualized by Jazeel Badur Ferry, Nazim Zeeshan and Mohammed Saud in 2012 during a hackathon organized by the Startup Center. The core offering of Eventifier is to aggregate and present all the conversations and sharing that is happening in regards to a particular event all in one place. Eventifier does it based on a hashtag of that event. It will scan various social media sites and bring everything that it aggregates all in one place on a single event page. The company claims to have over 1,500 clients that includes Pearson, UBM Tech, Clinton Foundation and NASA. Eventifier had raised half a million dollars from Accel Partners and KAE capital in December 2013. 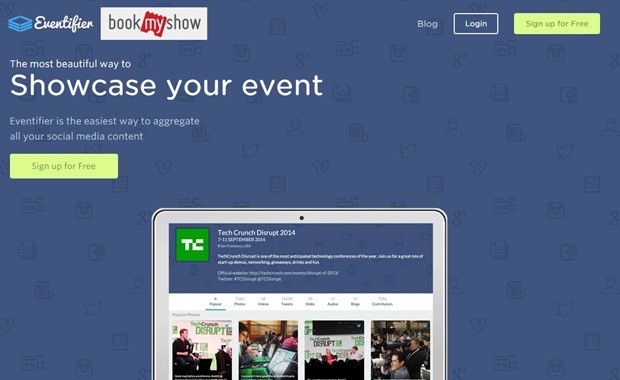 Accel Partners is also an early investor in BookMyShow. In June last year, BookMyShow had raised Rs. 150 cr funding round led by SAIF partners at a valuation of over 1000 Cr (approx USD 167 million). BookMyShow sells close to 5 million tickets a month through their website. Eventifier will remain to be a separate company and will retain its brand even after the acquisition. However, a deep integration between BookMyShow and Eventifier is on the cards. This acquisition will allow bookmyshow to offer their customers far more insights about the event, movie shows etc rather than just being a ticket booker. For example, when customers are booking tickets for a particular movie, they may be able to look at the all the Social Media chatter about the movie and understand the sentiments from users across the globe. A definite value addition for BookMyShow users. 6 Primary Reasons Arvind Kejriwal & AAP Pulled A Sensational Victory!